Feb. 2018: President of Uptake. Former Chief Digital Officer at GE. 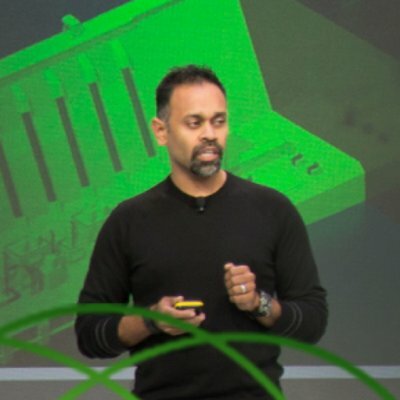 In February 2014, Ganesh Bell became GE’s first-ever Chief Digital Officer, driving digital transformation at one of GE’s largest businesses, GE Power, and establishing the CDO framework for GE Digital. He was also CEO for GE’s Power Digital Solutions, responsible for the largest industrial internet software business in GE across sales, marketing, strategy, products, engineering, and ecosystem. While at GE, Bell was named No.11 on Fast Company’s Most Creative People in Business in 2017. Prior to GE, Bell was EVP, Chief Product Officer and GM for Cloud Business with ServiceSource, where he was pivotal in their successful IPO. From 2005-2010 he held various VP roles with SAP in Product Management, Product and Business Strategy, BI & Technology Platform, and Portfolio Strategy for the office of the CEO. 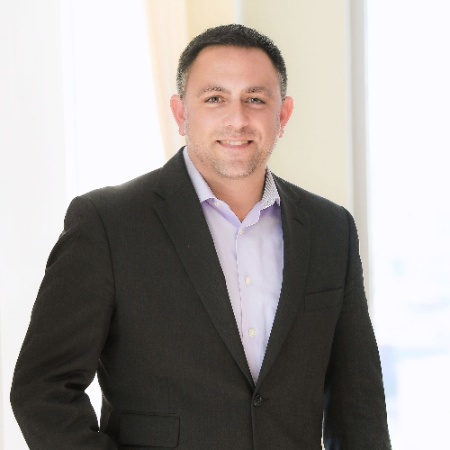 He began his career in 1997 as VP of Products and Chief Architect at Youcentric, which was acquired by J.D. Edwards in 2001, where he became Head of the Office of the CTO and Chief Software Architect. J.D Edwards was acquired by PeopleSoft, where in 2003, he became Chief Technologist and head of Product Portfolio Strategy and Management. PeopleSoft was acquired by Oracle in 2004. Ganesh was named President of Uptake in February 2018, responsible for scaling the company’s products, go-to-market strategy, customer success, and execution. Jan. 2018: President and Chief Experience Officer of J.Crew. Former Chief Digital Officer, Starbucks Coffee Co.
Adam Brotman is a seasoned executive with experience starting and running a venture-funded company, and in leading global digital functions at larger, multinational companies including Corbis, a Bill-Gates owned eCommerce company with hundreds of millions in revenues (now owned by Visual China Group), and Starbucks, a Fortune 250 public company. In recognition of his many contributions, the CDO Club named Adam as US Chief Digital Officer of the Year in 2015. Under Brotman’s tenure, Starbucks made its digital presence as ubiquitous as its store footprint, which have helped make the coffee shop chain a global restaurant brand leader. He oversaw their mobile payments projects, leading the team that piloted the successful Mobile Order and Pay feature in Starbucks’ popular app. 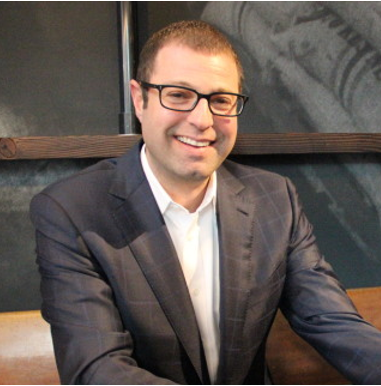 In September 2017, as the company shuffled management when founder Howard Shultz took on a new role, Brotman was promoted from the Chief Digital Officer title to EVP and placed in charge of expanding the integration of digital technology into stores. Also in 2017, he became a boardmember of Neiman Marcus Group. At a time when retailers are struggling to keep up with online experiences, he is now charged with modernizing J.Crew’s offering as President and Chief Experience Officer. Jan 2018: President, Consumer Brands at BrandMuscle. Former Chief Digital Officer at BrandMuscle. 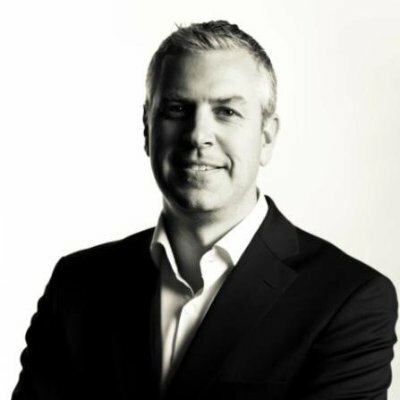 Paul Elliott joined BrandMuscle in February of 2016 as their first Chief Digital Officer, and was promoted to President, Consumer Brands in January 2018. 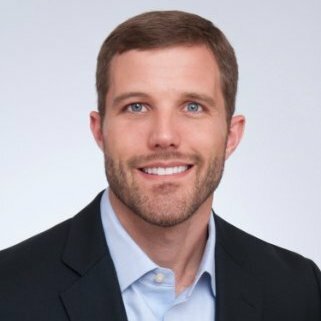 As Chief Digital Officer, Paul built and scaled BrandMuscle’s digital offerings, including the formulation of the strategic vision, solution development, development of LocationBuilder (BrandMuscle’s proprietary customer engagement platform), team development, business development, and revenue growth. Before joining BrandMuscle, Paul was the Chief Strategy Officer for KINETiQ DIGITAL, reporting directly to the CEO, where he led their digital business, including corporate and client digital strategy, agency marketing and messaging, business development, and innovation. Prior to KINETiQ, he was EVP of Marketing and Innovation at Rosetta, the Publicis Groupe’s customer engagement agency. In 2012, Paul was selected as a winner of the Direct Marketing News 40 Under 40, representing the most influential and accomplished young talent in marketing. Jan 2018: CEO of Pos Malaysia Berhad. Former Chief Digital Officer at McCann Ericsson Worldgroup. Al-Ishsal Ishak was named Group CEO of Pos Malaysia Berhad in Kuala Lumpur Malaysia in February 2018. Since the early 1800’s, Pos Malaysia Berhad has been Malaysia’s postal delivery service, providing standard mail, courier, express, parcels, retail, and international mail. His 26-year career has been focused on delivering and improving shareholder value and expectations in start-ups and corporations alike, spanning a myriad of industry sectors from automotive, aviation, consulting, financial services, tech, media & marketing, and telecoms. From 2015 to 2018, he was MD for ECO Capacity Exchange Ltd., and in 2012 was SVP of Marketing and Products for Malaysia Airlines. 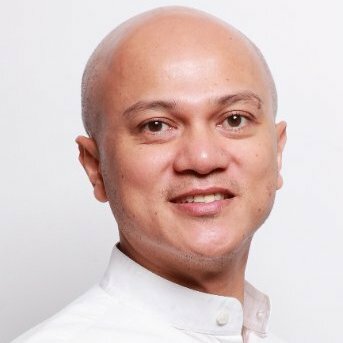 In 2008, Ishak was named Chief Digital Officer at McCann Worldwide in Kuala Lumpur. From 1999-2003 he was on the Board of Directors for the Malaysia Digital Economy Corporation, and member of the audit committee. Dec 2017: Co-President of Sharks Sports & Entertainment. Former Chief Digital Officer at SAP. Jonathan Becher earned a reputation as a digital content maven well before he arrived at the Sharks. He was CEO of three successful software startups – Accrue, NeoVista, and Pilot, the latter of which was acquired by SAP, where he became Chief Marketing Officer and led the charge to build a digital marketing machine. Under his watch, SAP’s marketing shifted from traditional to digital, including a push to create online content. That led to his appointment as the company’s first Chief Digital Officer, charged with leading a newly created digital business unit focused on building new revenue streams in content and data. 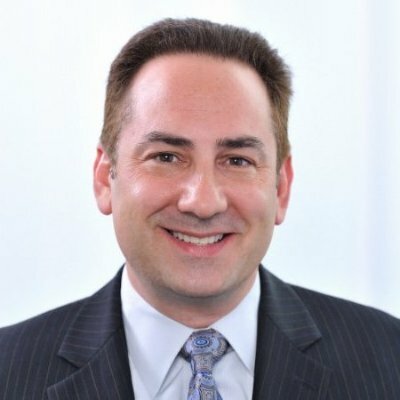 In his new post as co-President with the Sharks organization, Becher will be responsible for marketing, sales, and revenue for the San Jose, California hockey team. Not coincidentally, the NHL franchise’s home ice is the SAP Center. Oct 2017: CEO, Europe of VML. Former Chief Digital Officer at M&C Saatchi Group. Sharpe proves that an English major can go a long way in business with some digital skills. 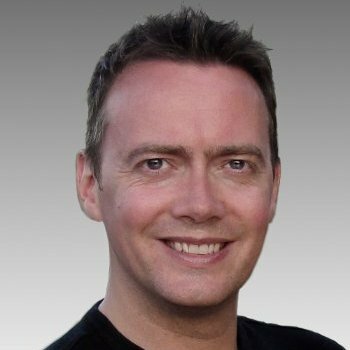 He began working in the agency business after graduating from the University of Cambridge, as Managing Director of digital shop Agency .com, then founding two other digital agencies, Itraffic and Play, which were later acquired by Agency .com and M&C Saatchi, respectively. After the Play acquisition, Sharpe became Chief Digital Officer at M&C Saatchi until he was lured away to become Chief Innovation Officer at RKCR/Y&R in London. During his tenure, he integrated the acquisition of the digital shop Saint, launched the tech startup incubator Spark Plug. After four years, he was named CEO and charged with revitalizing the agency, which had suffered a loss of clients and was still absorbing its 1999 acquisition of RKCR. Sharpe is credited with reversing the agency’s fortunes; rebranded the shop as Y&R and brought up a new management team, as well as scoring a number of new business wins. In late 2017, he switched gears to become CEO of VML Europe, in charge of the VML London office, as well as overseeing expansion plans into the rest of Europe. Oct 2017: President of the University of Montana. Former Chief Digital Officer for GE’s Transportation Division. Bodnar is not a man to run away from a fight. After graduating from West Point with a degree in Economics, he went on to a distinguished military career, serving in the 101st Airborne Division and the US Army’s First Special Forces Group. As a member of the Army’s elite Green Berets, he commanded a Special Forces detachment and later served as a Special Assistant to the Commanding General in Iraq before joining GE in 2011. Bodnar moved up the ranks in GE as the company continued to evolve into a more digitally-driven enterprise, becoming GE Transportation’s first Chief Digital Officer and CEO of GE Transportation Digital Solutions in 2015. In late 2017, Bodnar become one of four candidates to make the short list to become President of the University of Montana in Missoula, his wife’s home town. A former economics professor at West Point and a Rhodes Scholar with two Master’s degrees from Oxford University, Bodnar took over as president of UM in January, 2018. Sept 2017: CEO of Blue 449 China. 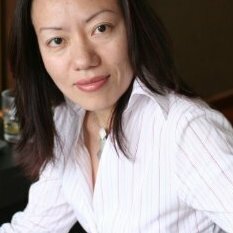 Former Chief Digital & Innovation Officer at Publicis Media China. Zhu is a veteran ad agency executive who considers herself a digital native. She has worked on digital strategy, analytics and measurement, as well as digital experiences for several industries including entertainment, technology, finance, gaming, and retail. After starting in the ad agency business as a group director at Wunderman, she became SVP and Director of Analytics at MRM Worldwide in 2007. In 2009, she moved to Publicis as VP of Strategy and Analytics at the digital agency Razorfish in San Francisco. Zhu returned to China in 2013 as Managing Director of China Digital for Publicis’ Starcom Mediavest Group and became Chief Digital Officer, Greater China in 2015. As such, she was focused on growing the company’s digital business, by expanding the talent pool and digital and analytics products. A year later, Zhu was promoted to Chief Digital and Innovation Officer for Publicis Media in China, where she was responsible for managing partnerships and driving new opportunities with start-ups. In 2017, Publicis promoted Zhu to CEO of Blue 449 China as part of a plan to step up the media unit’s transformation. June 2017: Global President at iCrossing. Former Chief Digital Officer at McCann Worldgroup. After starting his career as a marketing manager at Cathay Pacific Airways (including two years in Hong Kong, just prior to the Chinese turnover), Parker has experienced change in many ways. After returning to his native Canada, he joined DDB in 1998 as an Account Director, and in 2000 launched and ran the Canadian office of Tribal DDB, the digital arm of the agency, as national Managing Director, before moving to the U.S. as Director of Digital Strategy at San Francisco-based Goodby Silverstein & Partners in 2007. In 2009 he became VP of Strategic Solutions at digital media company Betawave, but in the same year he was recruited away by Tribal DDB to become co-President of its U.S. agency network. In 2012, he jumped to McCann Worldgroup to become global Chief Digital Officer, charged with driving the company’s digital agenda. In 2015, Parker joined iCrossing, the digital agency owned by publisher Hearst Corp., as Regional President, West, leading the agency’s global mobile practice and large-scale partnerships. In late 2016, he was named to a newly-created post of U.S. President, and in mid-2017, he was named global President, replacing Nick Brien, and retained his existing responsibilities over mobile and partnerships. Sept 2017: Chief Executive Officer of Digitalist Group Plc. Former Chief Digital Officer of Digitalist Group. As an entrepreneur, consultant, and advisor, Ville Tolvanen has earned a reputation as a digital and marketing leader. He has been named by various publications as the top marketing expert in Finland, top social media brand, and one of the top IT influencers in the country. He has been founder or co-founder of a dozen companies in software, digital services, marketing, and other industries. 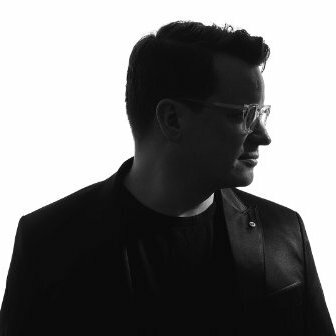 Early in his career, he was co-founder and marketer of QPR Software and broadcaster Intervisio before landing a job as Strategy Director of TBWA Tequila Helsinki. He later co-founded the independent digital advertising network Verkossa Media, founded the health advertising network Darwin Media, and the ecommerce consultancy Verkkoteollisuus Ry. In 2010, Tolvanen founded Rome Advisors, where he served as CMO, Chief Digital Officer, and Digital Strategy Director. While at Rome Advisors, he founded Digitalist Network, a network of hundreds of bloggers and publishing partners in Finland that operated as a subsidiary of Rome Advisors until the company was acquired by Ixonos in 2017. After the acquisition, Tolvanen was named Chief Digital Officer of the merged company, renamed Digitalist Group. Later that year, he added the title of CEO, charged with continuing the company’s growth.